Basic Jewelry Making - Bead It! Basic design elements will be discussed, then you will pick out beads with advice from the teacher, and learn to string and finish your piece! 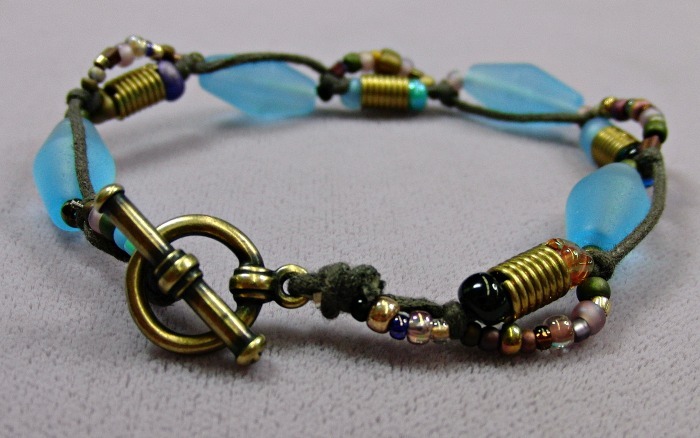 Make a bracelet, anklet, or necklace, don't worry, you can do it! You will make three pairs of earrings during class, basic (using head pins), hinged (using eye pins), chain (head pins attached to chain). 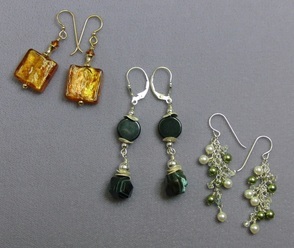 When you are done with this class your body will help you remember the basic steps of earring making! Use the chain earring technique to make cha-cha bracelets and necklaces! Learn to create a Mala and find your zen. 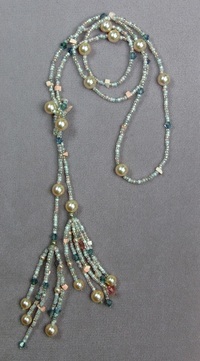 You will be stringing multiple strands of beads and learning how to finished the ends with the use of eye pins and cones. 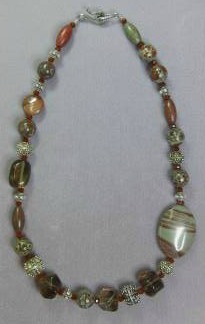 You may use larger beads (shown) or strands of seed beads. Learn the traditional technique of pearl knotting using French wire to attach your clasp and silk cord. We make it easy using fine-tipped tweezers! Learn simple stringing as well as fringing with this versatile lariat necklace. 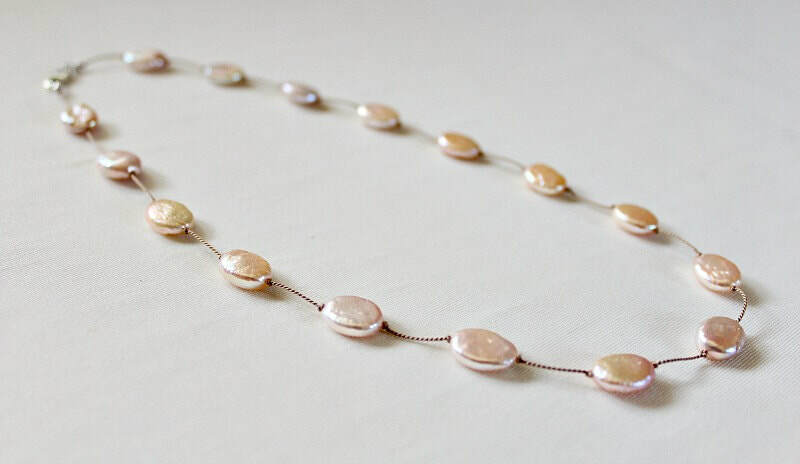 Using silk and random beads, learn how to create this funky floating necklace, inspired by Rene Russo's necklace in the movie "Tin Cup."